For your convenience, we have provided a series of seating charts below. 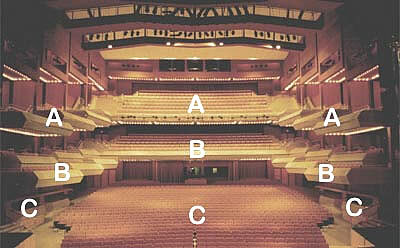 Included are the Balcony Seating Map (3rd Floor), the Mezzanine Seating Map (2nd Floor), and the Orchestra Seating Map (Main Floor). Note: Wheelchair seating in sections HA, HL1, HL2, HL3 and HL4.